The United States and the West are unprepared for today's challenges. Considering our National, State, local, and personal debt load, our propensity to spend without limit, and the lack of foresight into the real and present threats of those who are not our friends, significant changes in thought and action must take place very soon or there will be little hope for our future. How can we continue to send our national treasure to China and Arab states that only seek our demise? We must wake up to their threats or there will not be time to prepare once our enemies take advantage of our weakness. We were caught unprepared for World War 2. Fortunately, we were isolated from our enemies enough to produce a fierce army and overthrow those that meant to destroy us. Those countries of Europe and Asia that were closer in proximity to Japan and Germany did not have that luxury. They too did not prepare for the rising threat. They were unprepared just as the United States was and is in this day. They were quickly overtaken by their enemies. Brian T. Kennedy - Imprimis We are often told that we possess the most powerful military in the world and that we will face no serious threat for some time to come. We are comforted with three reassurances aimed at deflecting any serious discussion of national security: (1) that Islam is a religion of peace; (2) that we will never go to war with China because our economic interests are intertwined; and (3) that America won the Cold War and Russia is no longer our enemy. But these reassurances are myths, propagated on the right and left alike. We believe them at our peril, because serious threats are already upon us. [C]onsider a 2007 survey of American Muslim opinion conducted by the Pew Research Center. Eight percent of American Muslims who took part in this survey said they believed that suicide bombing can sometimes be justified in defense of Islam. Even accepting a low estimate of three million Muslims in the U.S., this would mean that 240,000 among us hold that suicide bombing in the name of Islam can be justified. China is building an advanced army, navy, air force, and space-based capability that is clearly designed to limit the U.S. and its ability to project power in Asia. It has over two million men under arms and possesses an untold number of ICBMs—most of them aimed at the U.S.—and hundreds of short- and medium-range nuclear missiles. [I]t is widely held in China that America is on the decline, with economic problems that will limit its ability to modernize its military and maintain its alliances. [C]onservatives have been basking in the glow of “winning the Cold War.” But in what sense was it won, it might be asked, given that we neither disarmed Russia of its nuclear arsenal nor put a stop to its active measures to undermine us. On our part, we have not even tested a nuclear warhead since 1992—which is to say that we aren’t certain they work anymore. Nor have we maintained any tactical nuclear weapons. Nor, to repeat, have we built the missile defense system first proposed by President Reagan. [C]an any government claim to occupy the moral high ground when it willingly, knowingly, and purposely keeps its people nakedly vulnerable to nuclear missiles? We spend our resources developing modest defense systems to deal, albeit inadequately, with these so-called rogue states, and meanwhile forego addressing the more serious threat from Russia and China, both of which are modernizing their forces. [T]he American people have proved capable of forcing a change in direction when they learn the facts. Americans do not wish to be subjected to Sharia law, owe large sums of money to the Chinese, or be kept vulnerable to nuclear missiles. [I]t is now time for us to remind our representatives of the constitutional requirement to provide for a common defense—in the true sense of the word. Joel Osteen does not want to "judge the little details of it", so he says that Mormons are Christians. The little details? He admits he has not "studied" or "thought" about it. Maybe he should. It has been clearly demonstrated here that Mormons are not Christians even though they say they are. Do they "believe" in Jesus? Yes, but even the demons believe. What Jesus or what god do they believe in? The Trinity-One God of historic Christianity? No. They believe in many gods. As a matter of fact, they will one day be gods themselves. Guess they do not remember a little episode around an apple tree where someone was promised that she could be "as God". There are no common bonds between Mormonism and true Christianity. During an uprising that centered in a sports arena, army commanders were sent in to stop the rebellion. While one general began killing the rebels from the inside, the other commander blocked the exits to those that tried to leave. Just prior to the decision, the leader was about to flee the country. However, an impassioned plea from his wife changed his mind. How could this happen in the world today? Well, it didn't. 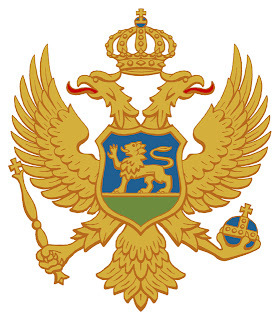 It happened many centuries ago in the Western Roman Empire known to outsiders as the Byzantine Empire. The leader was Justinian, one of the most well-known and admired leaders of the entire reign of Byzantium which lasted until 1453. In 532, Justinian put down the "Nika Revolt" by sending in probably the best general the empire ever had, Belisarius. The slaughter lasted until more than 30,000 were killed. His wife, Theodora, instilled some sense of strength in her husband by saying the following to the Emperor and his advisers: "I do not care whether or not it is proper for a woman to give brave counsel to frightened men; but in moments of extreme dander, conscience is the only guide. Every man who is born into the light of day must sooner or later die; and how can an Emperor ever allow himself to become a fugitive? If you, my lord, wish to save your skin, you will have no difficulty in doing so. We are rich, there is the sea, there too are our ships. But consider first whether, when you reach safety, you will not regret that you did not choose death in preference. As for me, I stand by the ancient saying: royalty makes the best shroud". History shows that the Empire and the entire world prospered and was a better place because of Justinian. Most of his accomplishments were done after the revolt was put down. Was it good that over 30,000 were killed? Certainly not. Was it justified? History proves the answer is probably yes. So when is it okay to rebel against your government? Treason is defined by Webster as the offense of attempting by overt acts to overthrow the government of the state to which the offender owes allegiance or to kill or personally injure the sovereign or the sovereign's family. Most would say this is punishable by death. Should leaders in the 21st century use the death penalty on those who are treasonous? In many cases, the answer is yes. Chaos is not a better thing to even a corrupt leader. However, the difference between treason and a successful revolution is just that, success. Those that start down the road of rebellion must know the consequences of such a decision. Success or failure means the difference between life and death. Today, Glenn Beck announced on his television program that he met with Billy Graham. He did not mention too many details, but there was one detail that would have been good to hear. It would have been good to hear that the Rev. Graham told Mr. Beck that we was misguided when it comes to his faith in Mormonism. It would have been good to hear him say that Mormonism is not Christianity at all since they worship completely different gods. It would have been good if the Rev. Graham could have been more of a guide to Mr. Beck. However, that is likely not what transpired. What took place was more credibility to the Moron assertion that they are Christian when in reality they are not. Mr. Beck is a great political commentator and someone that everyone in the United States and around the world needs to listen to. However when it comes to his faith, he is misguided. I pray that Glenn Beck will come to the truth faith of the gospel of Jesus Christ, the second person in the One God - Trinity. There is one God and one Mediator between God and men, the Man Christ Jesus. There is more that could be said, but it has already been said in an excellent way here. Pray for Glenn Beck, the United States, and the rest of the world in these turbulent times. I get a medical procedure when I need cancer cut out of my body or I will die. I get a medical procedure when I have a gash on my leg and it needs to be stitched up. I get a medical procedure even when my nose it too big and it makes my face look ugly. In all of these medical procedures, something bad is turned into something good. Cancer will kill me, my leg will remain open and it will get infected, I will remain ugly. However, what happens when you do not have a "medical procedure" to abort your baby? Do you succumb to some disease that will kill you? Will your body get infected? Will you remain ugly? No. The horrible result will be that you have a beautiful baby. A true miracle will result that will change your life. This miracle will prevent you from going to parties and hanging out with friends as much as you did before. It will make you spend more money than you ever thought you had. It will make you go crazy sometimes. But in the end, it is a blessing. Abortion is not a medical procedure like any other. Huckabee Condemns Christian Church Renting Space to Muslims - Washington DC RNC | Examiner.com: Huckabee - "you just wonder, what are they thinking? If the purpose of a church is to push forward the gospel of Jesus Christ, and then you have a muslim group that says that Jesus Christ and all the people that follow him are a bunch of infidels who should be essentially obliterated, I have a hard time understanding that." It is reasonable to argue that prayer to the same one God that Muslims and Christians believe is in keeping with the church’s mandate and not an aberration from Christian worship. The belief that Muslims and Christians pray to the same God is just plain incorrect which is clearly disputed here. Muslims merely used the Christian and Jewish scripture to write their own "scripture". It was not until the 600's AD that their religion violently entered the Middle East. By then, the Christian religion had spread throughout the world perpetuated by its adoption by the Roman Empire. Christians who believe Jesus is God should never allow a religion that worships other gods to pray in their church. What does Christ have to do with these other gods? He condemns them. They are an abomination to Him and they should be to Christian churches. Yes. We should pray for Muslims and those who follow Islam, but we should pray that they come to the saving knowledge and truth of Jesus Christ, the living God. High school wrestler refuses to take on a girl - The Boston Globe: "An Iowa high school wrestler who was one of the favorites to win his weight class defaulted on his first-round state tournament match rather than face one of the first girls to ever qualify for the event. There was a time when a man would hold a door open for a woman. He would go out of his way to make sure she was treated with respect and courtesy. There was a time when men went to war to protect women and children back home. There as a time when a polite society expected men to be men and women to be women. Those days are over. Now, girls can participate in a sport that is essentially a fight between two combatants. The girls that participate in these activities should be commended. They are strong and brave to do such a thing. Few people, even boys, can or will do this. These girls are only being what society expects them to be - boys. Gone are the days of chivalry, honor, and duty. We send women to fight for us in our wars. We send them out to make money to pay for our shelter and our food, so we can have a better lifestyle. Most are very good at what they do and in many cases even exceed the ability of men. The problem comes when those of the "old fashion" era bump up against the expectations of the new age. Kudos for the girl to be so brave and kudos for the young man who is actually a gentleman and would never think of touching a girl in such a manner. May it never be so among us. You Know What You Know, But Why Do You Know It? Of course, I realize that most Christians don't consider themselves to be gullible. They believe that there is LOTS of information backing up Christianity. They've been told this over and over again, by preachers, and their family and friends, so they just believe it... But when you actually go to Christians and ask them point blank what the evidence is for it, you typically find that they have no idea. Now if you talk to them online they go and look it up, and copy and paste things from Christian websites. But if you talk to them in the real world and ask them what the information is, they have no idea... Most of them anyway, at least 75% of them are just Sunday Christians. The inner core of Christianity is only like 20-25% of them, the fundamentalists. This person is right on the mark when it comes to evaluating the vast majority of Christians in North American today. Most go to church on Sunday and learn all the lessons about what happens to the various figures in the bible while learning much more about the particular life of the the pastor to whom the are listening. However, when asked about evidence or a reason for their faith, there is ambiguous talk of how it changed their life or they give their testimony. Testimonies are good, but it is no substitute for reason. It does the non-Christian little good to hear that this system of belief has made you a better person. Mormons are very well behaving people who have their lives in order. So what! They are still lost. Christian, study the reasons behind your faith. There are many. Practice telling others that are close to you these reasons, so you are better able to give these reasons to those not so close to you. We must be intelligent about our faith. It is reasonable along with being of faith. It is also historical. Your faith is bound to a historical event. Do not forget that. Think more while continuing to cultivate your feelings for the service and defense of our Lord, Christ Jesus. $1 Trillion Question: Who Will Buy President Obama's Budget - ABC News: "President Obama is poised to release his budget plan for next year, but don't expect it to make many Americans happy -- even though the White House tells ABC News that it will cut the deficit more than $1 trillion over the next decade. Really? Do we even remember last year's budget? Has the budget from a previous year EVER guided the spending in the next? To foist such folly on the American public is ridiculous. Too bad most every President does it. Muslims, Christians, and Jews. Oh My! According to an Islamic apologetic, Islam worships the same God as the Christian God. This may also be said of other religions. There are many paths to the same God, right? These different religions just get there in different ways. GodAllah.com: "Is 'Allah' the same god of the Jews and Christians? Yes. The word in Hebrew came from 'El' and in Arabic from 'Elh'. The word for 'god' (note the small 'g' in English) is 'Elah'. Compare this to 'Eloi' and 'Eli' in the New Testament. The word 'Allah' is the perfect word to describe the God of Jews and Christians as it does not permit gender nor plural. How about the God of the Mormons and Jehovah Witnesses? What about the Hindus and the Buddhists? Aren't they all sincerely seeking after God? The God of the Christians is a Trinity. God is One. However, there are three Persons in this One God. Each person in the Trinity is fully God. One may not see one part of the Christian God as God, but not the others. These three persons are indivisible. 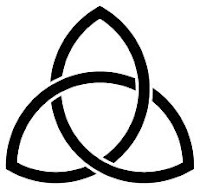 The triquetra symbol shown here illustrates how something can be distinguished or separated, but remain the same object. The three persons are the Father, the Son (Jesus), and the Holy Spirit. They are the One God. To belabor the point, Jesus Christ, born 2000 ago, is God in the Triune Godhead. Whether you believe this or not or whether you understand this or not is not necessarily the point here. The point is that any god that deviates from this definition of the Christian God is a different god. All roads cannot lead to different gods. So the conclusion is quite simple in comparison. Let us see if they pass the "Jesus is God/part of the Trinity" test to see if they are looking to find the same God. Muslims: Jesus is a prophet, but was not God. Conclusion: Not the same God as the Christian God. Jews: Jesus was a prophet, but was not God. Note: The God of the Old Testament (The Jewish Bible) is the same God. Those faithful Jews before Jesus was born looked forward to a Messiah; One who would pay for there sins in a conclusive way rather than the sacrifice of bulls and goats. Today, the Jewish faith does not look back to Jesus. Therefore, today's Jewish god is not the Christian God. How about other "Christian" faiths? Mormons: Jesus is not part of the Trinity. He is the first born of the god of this Earth who was once a man just as we are today. If we have faith, then we too will one day be the god of our own planet. Conclusion: Not the same God as the Christian God. They are not Christians. Hinduism: Jesus is a teacher, but not God. Buddhism: Jesus was enlighted, but not God. Note: Buddhists do not believe in life after death. Jehovah's Witnesses: Jesus is Michael, the archangel. Bottom Line: There is one God and one mediator between God and men, the man and God, Christ Jesus. For by Him all things were created that are in heaven and that are on earth, visible and invisible, whether thrones or dominions or principalities or powers. All things were created through Him and for Him. Without Jesus, Jesus as God/part of the One God-Trinity, there is no "same path". They are worshiping something other than the Christian God. Consequently, they are on a path that leads to a destination that is different than the Christian path no matter how sincere they are or how hard they seek. For there is only One Way, no one comes to the Father except through Jesus. Nor is there salvation in any other, for there is no other name by which we may be saved. China-US Trade deficit hits record - Good Job America! Great job everyone! We have set another record! AFP: US trade gap widens as China deficit hits record: "WASHINGTON — The US trade deficit grew in December as imports rose at the fastest pace since June, while the politically sensitive gap with China hit a record for the year, official data showed Friday. The total cumulative deficit with China since we have been accumulating deficits beginning in 1985 is now a mere $2,377,694,800,000. That is over $2.3 trillion of our money that has been shipped overseas to our enemy. Has one country militarily pillaged another country to such a degree in the history of the world? And we do this to ourselves willingly. A few days later, there have also been reports that an abandoned baby has been dropped off at the Temple Mount. Some have put these two events together to say that the UFO has dropped off the baby and that perhaps that baby could be the baby Jesus or, if the UFO was a hoax, it could be the anitchrist. Bottom line: The video was some sort of a hoax. There was no UFO's flying around the dome of the rock. UFOs may have some demonic aspects to them, but there are no little green men flying around in space saucers. Sorry. That would be fun, but its not going to happen. Its about physics and that speed of light thing that gets in the way. Other planets are just too far away. Thank you, Einstein. As for dropping off the baby Jesus or the antichrist? Not going to happen that way. Jesus will come back and everyone will know it. There will be no question. He will come back in power and might and not in the form of a baby. There are signs of the end times, but these are not it. Keep waiting, but keep your senses about you. Is Enimem the Best Representative of Detroit? The concept in this video about Detroit it great. You just have to look here for another of Chrysler's videos to see that. However, is Enimem the best spokesman that Detroit could come up with? The guy is certainly talented and his personal story compelling, but his music is filled with filth. The same commercial could have been produced with a much better person to represent the City and the manufacturing comeback of the US. In this video, Glenn Beck talks to Joel Rosenberg about the [end] times we are possibly living in. Iran's use of nuclear weapons could do in "six" minutes what it took Nazi Germany years to do. Countries need to take this threat more seriously. The events in the Middle East may take us closer to the events of Revelation in the Bible. Nobody knows. There have certainly been wars and rumors of war in the Middle East for centuries now. The difference today from that of the last few decades is the wide-spread outbreak of chaos. This chaos could spread to other counties. With the United States and Western Countries trying to come to terms with mounting debt and threats of a rising superpower in the form of China, the Middle East chaos could have a deleterious effect on any economic recovery in those countries. Alongside economic difficulties, many could site moral and societal issues that will compound the problems of the West. Homosexuality, licentious behavior at all age levels, murders and wide-spread violence; the chaos seems to be the new norm in the West. May a "strong man" come in to make things right? How could we possibly turn our society around and right this ship? The electorate is of no opinion to turn it around. The Republican landslide of recent days focused more on taxes and economics. Perhaps it will stave off the inevitable decline, but the decline appears to be coming faster than we would like to admit. We continue to incur massive amounts of debt on a national, state, municipal and personal level with no end in site. Something must be done or the system will implode and the radicals in the Middle East and those in China will finally be able to take advantage of our weakness. The Byzantine Empire was dedicated in 330 A.D. by the Roman Emperor, Constantine, and dominated most of Eastern Europe for over 1,000 years. It began and continued to be a Christian Monarchy. The emperor was thought to be Christ’s representative on earth and one of a long line of Roman Emperors. 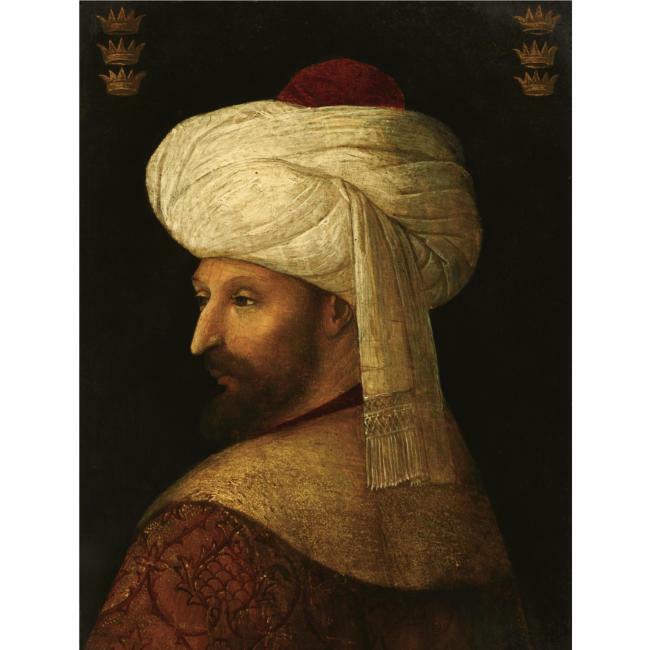 In 1453, the city was overrun by the Turks under Mehmed II who had previously swore an oath by the prophet Mohammad and the Koran that he would be devoted to peace with Byzantium. From an Islamic Perspective -About 1 hr long, but worth it. From the West's Perspective -Excellent conclusion to a series. Also available is 12 Byzantine Rulers which is a very good series of podcasts. This picture depicts the city’s last stand. 7,000 Romans defended the city with Constantine IX as its last Emperor. The city held out for 53 days against a force of over 80,000 and almost repelled the Turkish hordes completely. Much of modern day Turkey and Northern Africa were Christian prior to Muslims taking control. The populace, which was at various times and in various places Christian, was forced to convert to Islam. Now these countries are left to maintain Islam with little or no resistance from Christian nations elsewhere. Catholic News Agency - In a.d. 632, Egypt, Palestine, Syria, Asia Minor, North Africa, Spain, France, Italy, and the islands of Sicily, Sardinia, and Corsica were all Christian territories. Inside the boundaries of the Roman Empire, which was still fully functional in the eastern Mediterranean, orthodox Christianity was the official, and overwhelmingly majority, religion. Outside those boundaries were other large Christian communities — not necessarily orthodox and Catholic, but still Christian. Most of the Christian population of Persia, for example, was Nestorian. Certainly there were many Christian communities in Arabia. By a.d. 732, a century later, Christians had lost Egypt, Palestine, Syria, North Africa, Spain, most of Asia Minor, and southern France. Italy and her associated islands were under threat, and the islands would come under Muslim rule in the next century. The Christian communities of Arabia were entirely destroyed in or shortly after 633, when Jews and Christians alike were expelled from the peninsula. Those in Persia were under severe pressure. Two-thirds of the formerly Roman Christian world was now ruled by Muslims. There have been attempts to regain Constantinople, however. 1454 - Duke of Burgundy, Philip the Good, avowed to take up arms against the Turks. Did not materialize. 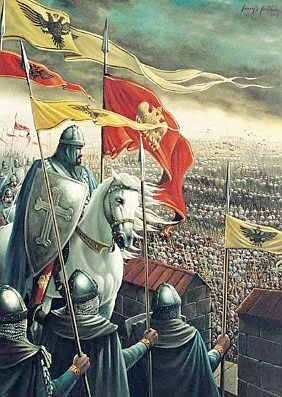 1459 - Pope Pius II calls for another Crusade to recover the city. It does not materialize. Last taken by the Muslims in 641. Destruction of the one of the most famous libraries in the world. Documents that will never be recovered. Last taken by the Muslims in 1268. Prior to 1268, the city changed from Christian to Muslim many times with the Byzantines, Crusaders, and Muslims battling for control throughout the centuries. Last to take the city was Egyptian Mamluk Sultan Baibars massacred the Christian population. Islam would like to rule the world and subject all peoples to their sharia law. The people in the regions of Northern Africa, Turkey, and the Middle East are given no choice only because the last conquest of their lands were made by Muslims. Since it was long ago, the will in the West to take these lands back is non-existent. At its peak, Islam was on the precipice of taking over all of Europe. The primary force holding it back was Byzantium. Why are these vast lands left in the hands of Islam? Should Islam be allowed to stop at the current borders? Why is the last conquest the final conquest? What makes these borders the final borders? What if Islam intended to force their way further into the West? Would we resist or would we settle for the “new normal”? This glorious church, the Hagia Sophia, was converted into a Mosque after Constantinople fell. However, one can still see its Christian origins throughout.